She may be 82, but Broadway legend Chita Rivera is still dancing and singing, most recently in “The Visit” for which she’s won another Tony nomination. She’s won two already, for “The Rink” in 1984 and “Kiss of the Spider Woman” in 1993. Her first nomination dates back to 1961 in “Bye Bye Birdie.” With “Chicago” in 1976 and “Nine” in 2003, she’s been nominated in each of the last six decades. 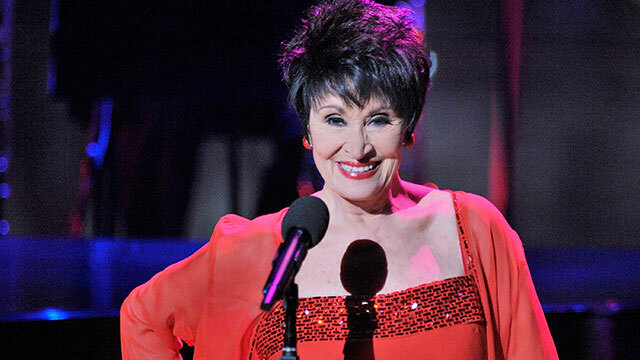 To promote a film about her life, “Chita Rivera: A Lot of Livin’ to Do,” premiering tonight on “Great Performances” (PBS, 9 p.m., check local listings), she did some singing and dancing for reporters at a dinner at the TV Critics Association summer press tour in Beverly Hills as well. We clapped accordingly. Then I asked the D.C. born entertainer — who was the first Hispanic woman to win a Kennedy Center Honors award in 2002, about the generation of pop singers and dancers who maintain that they have to lip synch during performances because singing and dancing at the same time is so hard. “It’s a pity because they could be so much stronger. And they’re so gifted, and they’ve got these great things,” Rivera said. The octogenarian entertainer said she learned on the job. “I learned how to have amazing breath control from Stephen Sondheim’s lyrics of ‘America,’” she said, referring to the song in the original Broadway production of “West Side Story” in 1957. “I mean, I remember when Lee Becker Theodore said to me — she was the Anybodys in the original ‘West Side’ — and there was an audition for something, and I said I was going. And she said, ‘Well, you have to sing in that.’ I said, ‘Well, I’ve never sung, so maybe I’ll learn something.’ And she said, ‘No. Dancers dance. Singers sing.’ That was the way it was. And if I hadn’t had a little bit of courage, you know, things would have been different.